I didn't actually do anything or go anywhere over the Xmas weekend due to not being able to walk on snow or ice. Here's last year's "present" - picture taken on Christmas day, 2009, in Selly Oak Hospital. 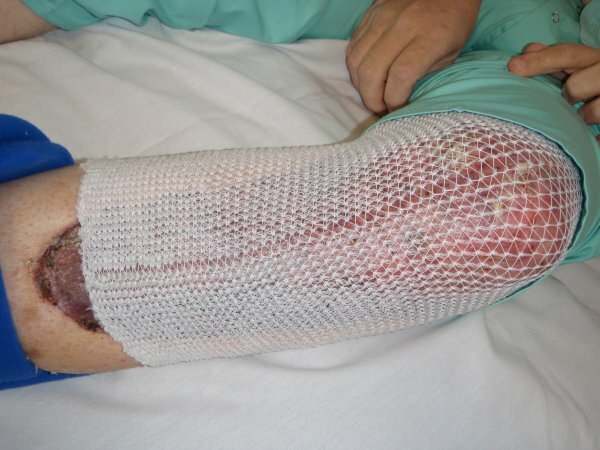 A nice freshly wrapped skin graft - a present I will use everyday for the rest of my life. So ends 2010 - a year lost from my life thanks to a careless car driver.